The options include "Break Blue," "Asphalt Gray," "Brick Red," and "Turf Green," according to the John Lewis website. There are normally just eight colors available, such as black, silver, gold, and (Product)Red. At John Lewis, the colors are part of a "Neighbourhood" collection. They haven't yet appeared on Target's website, but are coming to the chain's menswear department, according to a MacRumors source. Another source indicated that Apple itself will carry them, and that some stores may already have stock. Indeed the John Lewis site refers to them as "exclusive to JL and Apple stores." Apple often markets Beats products as much (or more) for their style as their performance. 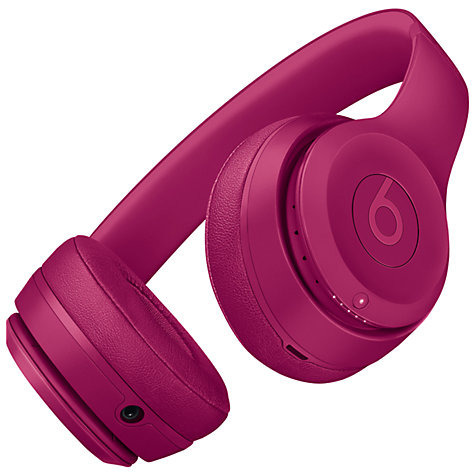 After the Beats takeover in 2014, for example, one of the first things it did was introduce colors matching the iPhone. More recently, the company has partnered with French fashion house Balmain on special versions of the Powerbeats3 and Studio Wireless. 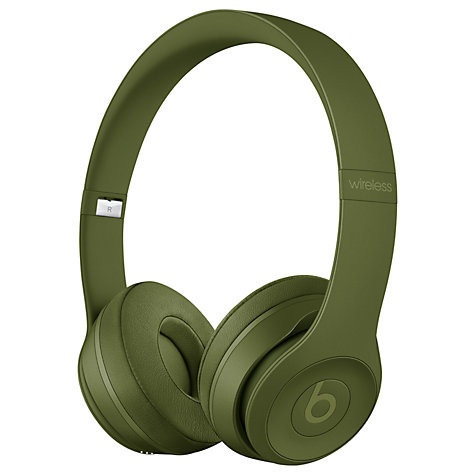 The Solo3 was one of the first products to use the W1 wireless chip, which Apple boasts as offering better connection strength and power efficiency, as well as easier pairing with Apple devices. The chip can also be found in the BeatsX, Powerbeats3, and AirPods.